School officials note the program is designed specifically for adults in the community and there is no charge for admission. Raising teens in a digital world and the impact it has on their well-being. Signs and symptoms of teen depression and teen suicide. Validating the importance of parental involvement and understanding the sensitivity of today’s teenagers. 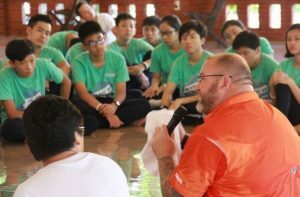 Jeff Yalden’s theory on teen suicide and mental health involving our youth and more. 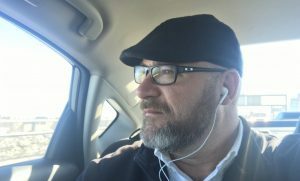 According to Jeffyalden.com, Yalden overcame incredible odds to become the man he is today. As a teenager, he lost interest in life, in school, and in himself. He took the SATs twice and received very low scores. Worse, Jeff suffered from a stutter, a facial tic, bad acne, and a learning disability. His self-esteem in the gutter, Jeff graduated high school 128th in a class of 133. His life continued to include very high, highs and very low, lows. Then, he enlisted in the United States Marine Corps where he learned the virtues of self-reliance and teamwork. He went on to become the two-time “Marine of the Year” and played for the All-Marine-Corps basketball team. He began teaching at Hollis Brookline High School and coached soccer and basketball. There, he pursued his desire to work with teens as a youth motivational speaker. Today he has been named an Amazon #1 Best Selling Author, and a youth motivational speaker, mental health professional, and parent communicator. He is known to discuss a variety of topics that include teen motivation, bullying social media, mental health, or school morale and spirit. He will be speaking at Newcomerstown Middle School, 325 W. State Street, Newcomerstown, on Tuesday, February 20th from 6:00 – 8:00 p.m.